Globetrotting Texans! | The Tropical Isle of the Dominican Republic! Home Church of Jesus Christ of Latter-day Saints The Tropical Isle of the Dominican Republic! The Tropical Isle of the Dominican Republic! Dominican Republic is only a three hour and fifteen minute flight from Atlanta. In the month of February that equals a short flight that connects the hum drum of every day life to the beautiful exotic beaches of this little island nation. While most of the US is currently experiencing cold weather and/or snowfall, stepping onto the warm run way at the Punta Cana airport can be just what any soul needs for respite. Located on the Atlantic side of the island that shares a border with Haiti this little side is technically not located in the Caribbean. As I was informed by our tour guide it is considered to be located in the Tropics. At only about 50,0000 square meters it is small in size but still has much to offer. Trent and I were excited to try out this new destination. Though Trent has been to Haiti before this was the first time either of us have ever been to the Dominican Republic. After being discovered in 1492 by Christopher Columbus this small country has changed hands of power and holds a sad saga of almost complete native destruction. The 400,000 natives that lived on the island back in Columbus’s day were nearly a third of the population in just two years after the discovery. Then as slave trade was introduced and ports established, wars began between France and Spain. This country has been through a lot. My view of the DR from my airplane window. So excited for our week of fun to begin! We decided on visiting the DR through a service organization that Trent and I belong to through Brigham Young University. Every February our group finds a place to meet, and it usually entails somewhere in the Caribbean due to so many of our members wanting to escape the winter snow of Utah. It is actually a fun way to travel. When our group decides on a place many of our members will meet there for a week of bonding in the sun. This year we had over thirty couples show up and Trent and I loved getting to know many in the group better by going on day trips, sharing meals, beach volleyball, laying by the ocean, and late night games of Rook. Yes, since we don’t drink alcohol, playing Rook equals a wild and crazy night. We also became very proficient at asking our wait staff for Pina Coladas, “sin alcohol”. The first challenge of creating a perfect vacation in the DR is finding the right resort. Our resort was chosen for us and it turned out to be a great place to stay. The Melia Caribe of Punta Cana is a huge facility located just twenty minutes from the airport. This resort sits next to other resorts that all share the same coastline. Our resort was chosen for both luxury and economics so if you’re looking for a mid-range resort this would be a good choice. When Trent and I arrived for our week long stay we were quickly taken to the Royal Services reception area. I’m sure this service is an extra fee but I highly recommend it at a place like this. With a special wristband we had a private restaurant, beach, and shuttle service to get us around this gianormous resort. Our hotel room was located down at the beach front and was quite a hike to any of the ammenities of the resort. Without the private shuttle service I am not sure how we would have managed getting around a resort this size. Our room was beautiful with a huge tub in the middle. That part was kind of a waste because we never enjoyed this amenity at all. We were so busy going from the beach to the pool that staying in our room was never a temptation. The beaches of the Dominican Republic were some of the most beautiful beaches I have ever experienced. I am tempted to say they were the best. I truly loved them! The small hut umbrellas, lounge chairs, outdoor beds, palm trees, white sand that was always cool to our feet, and the lapping sounds of the ocean made it a great place to lay out and relax. Truly I could not get enough of my beach time. The hours seemed to go by so quickly as we laid in the sun. The best part about the beach was the breeze that kept us cool the entire time we were there. I’m sure the breeze luxury had a lot to do with the time of year we visited but there is nothing I hate more than sweating while I’m laying out. The cool breeze kept me comfortably reading my book, listening the the background music, and sipping my Pina Coladas sin alcohol. Just writing about it makes me want to turn my flight around and go back! The Melia resort has three buffet style and ten specialty restaurants located on the complex. They also have a small shopping mall at the entrance of the resort, along with small shopping stores, many bars, pools, two spas, a ropes course, trains that take you to any part of the complex you can desire, and any kind of beach “toy” you would want to rent located at the beach. Every night during our seven night stay on property we ate at a different restaurant. Of course like any all inclusive resort such as this the food can become repetitive but for the most part it wasn’t bad. 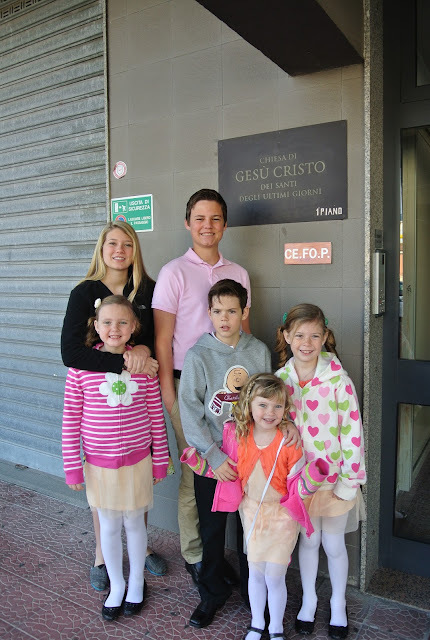 Our trip down there also included a Sunday which meant we got to go to church at a local congregation. Like I’ve mentioned in my Sicily post, going to church is one of my favorite things to do. Our group of almost seventy boarded a bus and showed up at the tiny little house that the locals use as a church down there. We had the entire place packed and again, though I didn’t understand the language we still felt the spirit of these people. Our group decided before we had come down that we would bring some new or gently used church closes to bring down to the people of this congregation. Though we had to pack an extra suitcase for this purpose it was one of the best things we could have done. The people in this tiny church were so grateful to receive the bags of clothing we bought and continually thanked us during our visit. My last observation I should mention in this post is how friendly the people are in this country. It didn’t matter if we were on the resort, taking a tour, at church, or on the street the people were kind and very congenial. Many joked with us and teased us as we traveled through their country. It seemed like every shuttle driver we had was constantly laughing and playing with us with huge smiles on everyone’s faces. I can’t say that I felt like it was forced or rehearsed. I truly feel like even in this poverty stricken country they have a great out look on life or maybe it was just because they get to live everyday next to these beautiful beaches. Young & Dumb but In Love; Honeymooning in Cabo San Lucas 1993! !